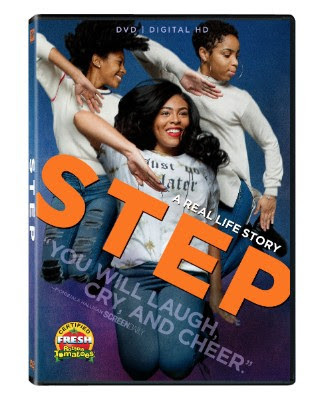 Bring home the true story of Step, an empowering story of dance and how it changed the lives of a group of girls. It's heartwarming and inspiring, the film is well done. You will laugh, you will cry, you will rejoice in the powerful bound as they each achieve their goals together. ABOUT TWENTIETH CENTURY FOX HOME ENTERTAINMENT Twentieth Century Fox Home Entertainment, LLC (TCFHE) is a recognized global industry leader and a subsidiary of Twentieth Century Fox Film. TCFHE is the worldwide marketing, sales and distribution company for all Fox film and television programming, acquisitions and original productions as well as all third party distribution partners on DVD, Blu-ray™, 4K Ultra HD, Digital, and VOD (video-on-demand). Each year TCFHE introduces hundreds of new and newly enhanced products, which it services to retail outlets and digital stores throughout the world.